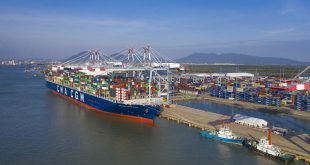 ACS international maritime route has been launched at Cai Lan International Container Seaport linking six nations including India, Malaysia, Singapore, Vietnam, China and South Korea on Tuesday. 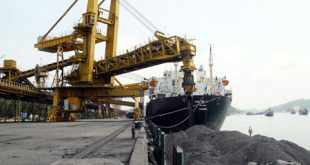 The route has been developed by the alliance of two shipping lines Huyndai Merchant Marine and Gold Star Line. On the same day, Cai Lan port in the northern province of Quang Ninh received Liberian Huyndai Premium with the capacity of 5,023 TEUs, which is the largest container vessel landing at the northern region’s ports. Two large vessels are scheduled to travel in this route every week. 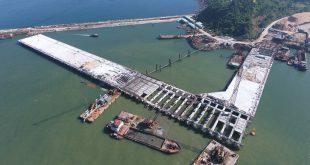 Containers will be shipped directly from Singapore, Malaysia and India to Cai Lan port and transported to other ports in the northern region with a barge system instead of through Hai Phong seaport as before. Large vessel exploitation will help customers and shipping lines save transport costs and time.